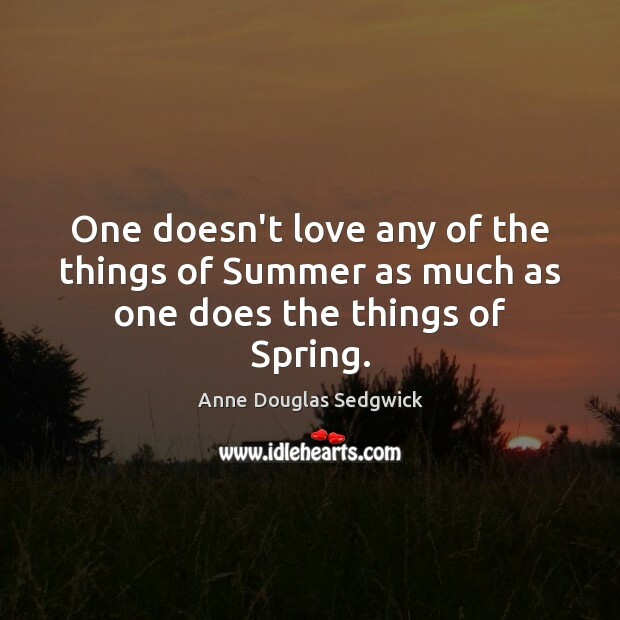 Enjoy the best inspirational, motivational, positive, funny and famous quotes by Anne Douglas Sedgwick. Use words and picture quotations to push forward and inspire you keep going in life! 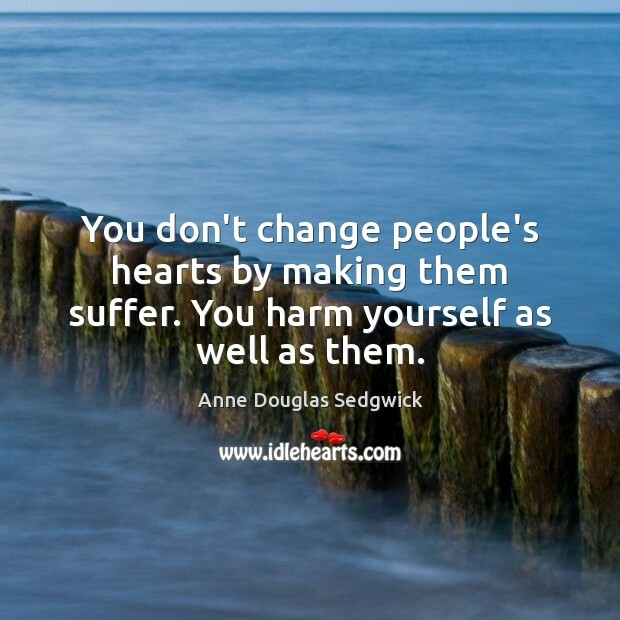 You don't change people's hearts by making them suffer. You harm yourself as well as them. One doesn't love any of the things of Summer as much as one does the things of Spring. 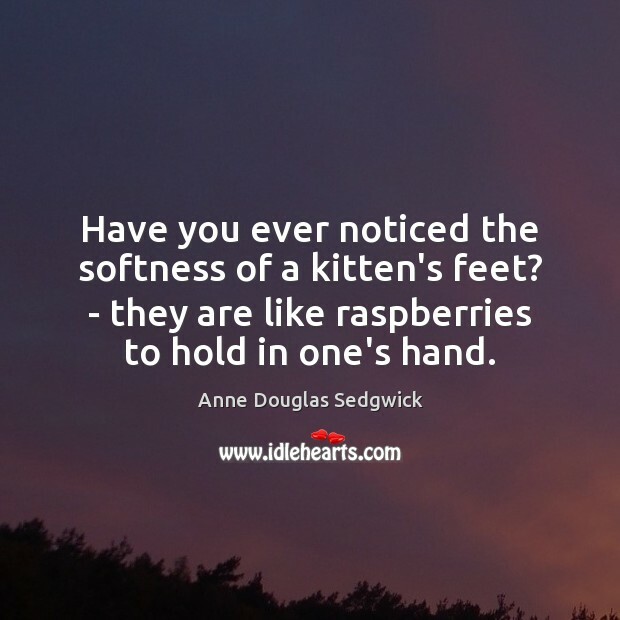 Have you ever noticed the softness of a kitten's feet? - they are like raspberries to hold in one's hand. 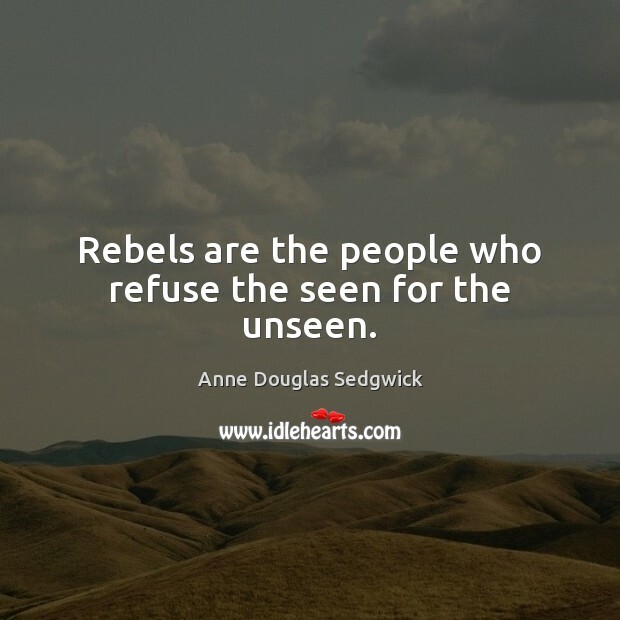 Rebels are the people who refuse the seen for the unseen.